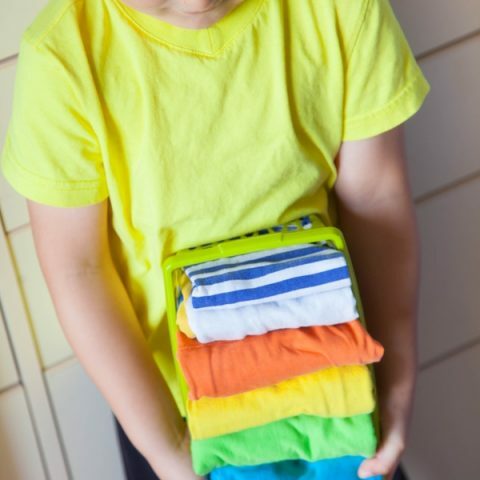 If your home is anything like mine, your entryway tends to turn into a “drop zone” whenever the kids come home or guests stop by. Maybe you have a basket for shoes and a coat rack. Maybe you’ve got a closet near the front door. But nothing beats a tidy and organized entry, where there’s a spot for everything. Here are 10 entryway organization ideas to help you make a great first impression. 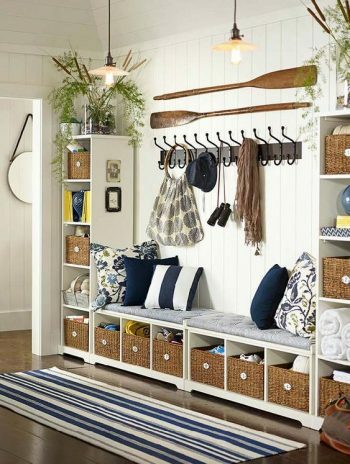 A couple of tall bookshelves with baskets, a bench or two, and a row of hooks might be all your family needs to tame the entryway or mudroom mess.